Elite XFIT T30 Treadmill is the upgradated form of XFit T30 Treadmill, having a larger running area and more powerful motor. The XFit T30 running machine has the ability to challenge and improve your fitness level with a top running speed of 20kph and 15% of incline elevation. MP3 music port and 2 speakers are its additional feature that tempts user for a longer workout. *Note: Most of the sites, stores or shopping portals listed above sell Elite XFIT T30 Treadmill with discounts and other exciting offers. There is a possibility that the some of above websites are not selling Elite XFIT T30 Treadmill now. Toughtrain.com is not liable for such cases or instances. 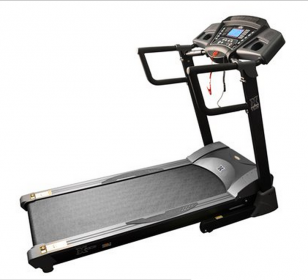 Also we do not recommend any seller for Elite XFIT T30 Treadmill and a buyer should buy from where he/she gets best deal with quality of products, service and on time delivery (shipment).